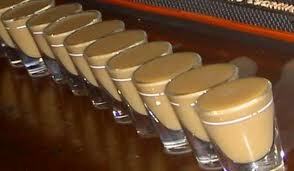 Classic Oatmeal Cookie drink recipe made with Butterscotch Schnapps,Cinnamon Schnapps,Irish Cream,Jagermeister,. How to make a Classic Oatmeal Cookie with all the instructions and ingredients. Acid Cookie View This Recipe! The Classic View This Recipe! Upside-Down Oatmeal Cookie View This Recipe! Chocolate Chip Cookie View This Recipe! The Real Oatmeal Cookie View This Recipe! Maple Cookie View This Recipe! Corey&apos;s Oatmeal Cookie View This Recipe! Butterscotch Cookie View This Recipe! Sugar Cookie View This Recipe! R&B Classic View This Recipe! Rainbow Cookie View This Recipe! Oatmeal Cinnamon Cookie View This Recipe! Oatmeal Cookie View This Recipe! Oatmeal Cookie #2 View This Recipe! Oatmeal Cookie #3 View This Recipe! 24 Karat Nightmare View This Recipe! After The Hunt View This Recipe! Auburn Headbanger View This Recipe! Black And Gold View This Recipe! Black Gold View This Recipe! Body Bag View This Recipe!